Some of you may remember when I made this crochet hat pattern earlier in the fall in a creme color. I was asked to make one in black for an order and I’m pretty sure I love it even more in this color. Sometimes most of the time black yarn is pretty hard to crochet with. 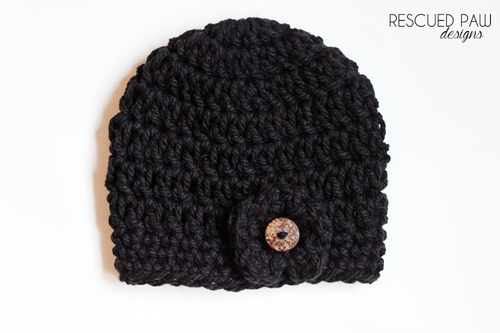 This black crochet hat pattern will work up fast and there shouldn’t be to many screams because black yarn is used. At least I hope not. 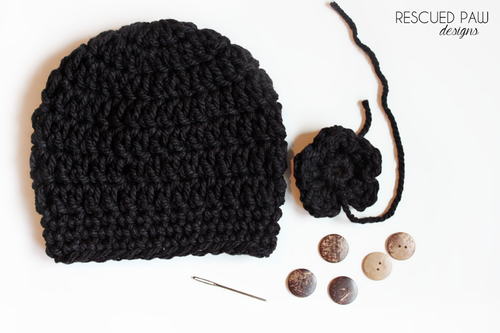 Read on down for the easy and free crochet hat pattern. 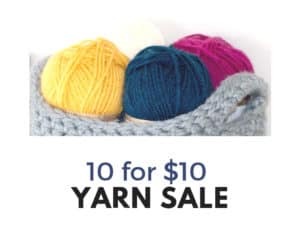 You can use Black yarn! Black is a little harder to crochet with because it is not as easy to see what stitches are being worked into. But sometimes the hassle is worth it because this color almost always makes for a beautiful hat! 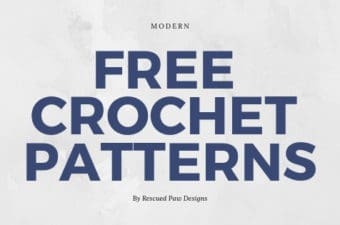 If you are ready to make this free crochet hat pattern for yourself, then read on down to find the FREE tutorial! 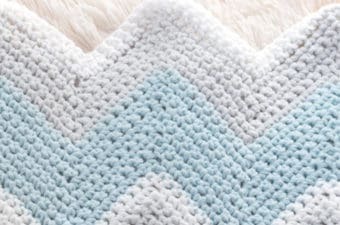 Happy Crocheting Friends! Button (I used these Brown Coconut Shell Buttons. ROUND 2: CH 2 , 2 DC in same ST, *SL ST in next ST, 3 DC in next ST. Repeat for a total of 5 Petals. SL ST,Fasten off leaving tail for weaving in. Attach button to center of flower with Yarn. Weave ends into hat with Yarn needle. 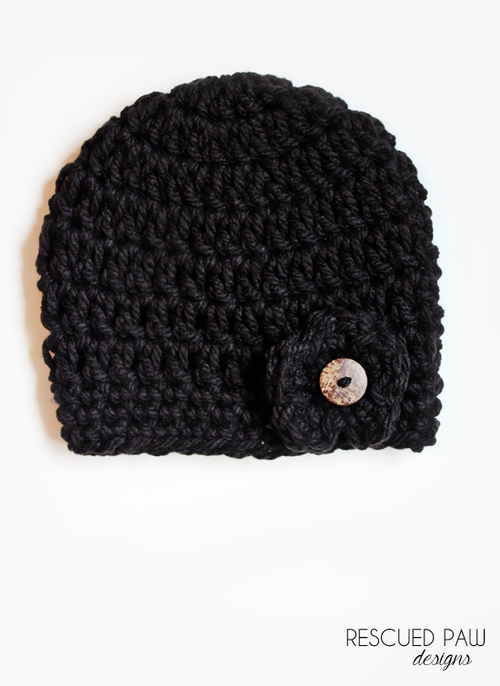 Attach flower to hat with Yarn needle. I hope you enjoyed this chunky button hat. 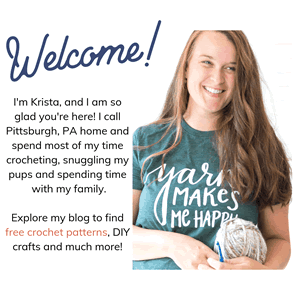 I am always pinning FREE crochet projects and tutorials on Pinterest so please come check me out by following me HERE or you could also follow along with me on Facebook. Previous Post: « Sneak Peak: Crochet Tunisian Cowl Neck Warmer!! The pattern says to use a 9mm N hook. I have a 9mm M hook and a 10mm N hook. Which one should I use? Very cute. It would be great if hook sizes were standardized by letter and mm, wouldn’t it? 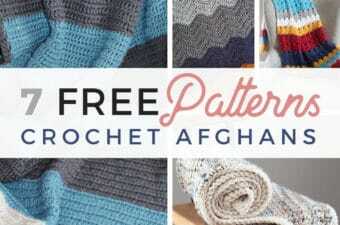 do you have a pattern for an adult size?